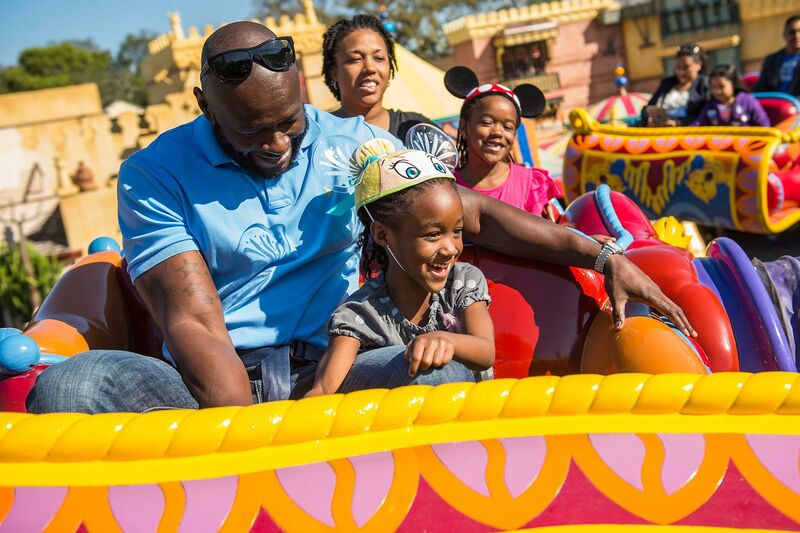 For the times you don’t want to consult a complicated algorithm in order to enjoy a ride — or to simply fill in the gaps between Fastpasses — check out these Disney World rides with the shortest lines. Officially known as the “PeopleMover,” this leisurely ride is an unofficial “sleeper mover,” a.k.a. welcome respite for weary parents of tired young children. It’s a slow trip through Tommorowland, with some dark, peaceful segments. You can board quickly, then sit back and enjoy the ride. You can possibly even enjoy a beautiful 10-minute nap! Ride it with younger kids while the older crew rides Space Mountain, or keep it in your back pocket as an afternoon sanity-saver. Like the Dumbo ride, this kid-pleaser allows riders to control ascent and descent and enjoy an aerial view of park happenings. Fastpass+ is available, but you won’t likely need one, especially if you ride in the morning or evening. Evenings in particular are a great time to see the sights and enjoy short waits and repeat visits. Head to the less-busy Main Street Station in order to quickly board this steam train for a trip around Magic Kingdom Park, with stops in Frontierland, Main Street U.S.A and Fantasyland (Storybook Circus.) The step-on, step-off ride is 20 minutes in duration. Note that park rental strollers are not permitted on the ride; however, personal strollers (folded and stored) are allowed. You won’t sweat the lines waiting for this Mexico Pavilion ride in Epcot’s World Showcase. Enjoy cool breezes and an animated tour of Mexico during the refreshing eight-minute musical boat ride. 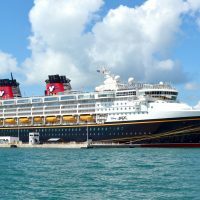 If you’re so inclined, you can make an immediate return sailing and soak up all of the details in relaxed, air-conditioned comfort. Ditch the crowds and dive into sea-faring family fun on this sweet ride in The Seas Pavilion in Epcot’s Future World. 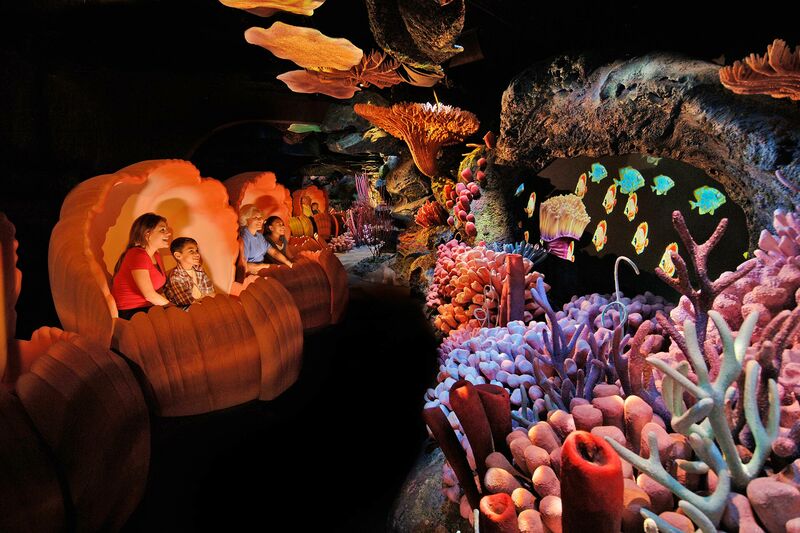 Riders board a clamshell vehicle and go “under the sea” on the high-tech animated attraction, based on “Finding Nemo.” It’s open to riders of all heights and ages. Like some other rides, mid-day lines are more common during peak periods since the advent of FASTPASS, but short waits can often be found in the morning, as well as late afternoon and evening. Afterwards, enjoy “Turtle Talk with Crush,” another short-wait attraction. Are you familiar with Figment? The miniature fictional purple dragon is the official mascot of Epcot’s Imagination Pavilion, as well as a star in this immersive dark ride in which you’ll experience all five senses. Since the introduction of FASTPASS, the sleeper attraction, which opened in 1982, has enjoyed increased attention and attendance. Still, it’s a great option for visitors looking to escape the crowds. In the morning and late afternoon, you can usually ride Triceratop Spin with little to no wait. Before or after you enjoy the kid-centric ride in Dinoland, head to the Boneyard playground where kids can blow off steam. Travel back in time and space to the fossil age on an all-terrain vehicle in this action-packed motion simulator ride. FASTPASS+ is available, but you won’t often need it. Height requirement for the turbulent ride is 40 inches — this one is not for small children. While FASTPASS+ is a must for most Hollywood Studios rides during mid-day, Star Tours is a rare exception. There’s a different variation of the 3-D motion similar each time you ride, so this is one that’s a great repeater.